To avoid technical errors, our experts designed this short guide to help you understand the formats and design techniques suitable for 3D Printing. 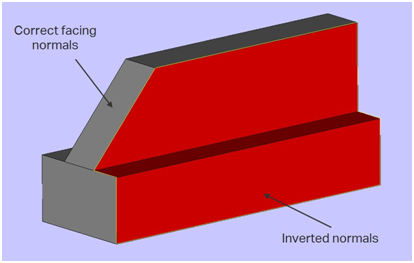 A part generated in 3D CAD software must be made into a solid ‘watertight’ object in order to be printable. 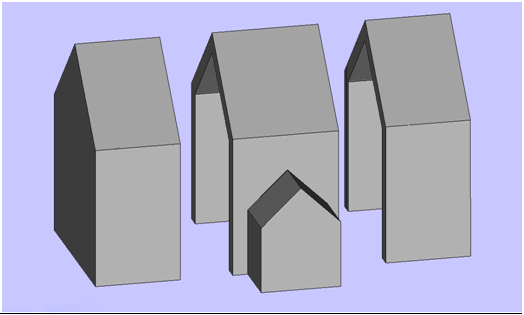 Solid objects drawn in CAD software contain a volume. It is important for a 3D printer to recognize an object’s volume in order to apply material in the correct places. 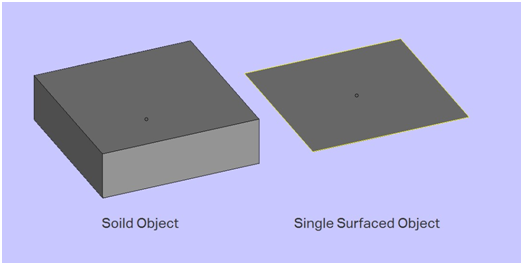 Single-surfaced objects contain no volume and cannot be printed. Therefore, ensure any single-surfaced objects are given a specified thickness. Check all surface normals face the correct direction on your model. Every single-surfaced object drawn in 3D CAD packages have an inside and outside face. Where multiple surfaces face the inside to enclose itself as a solid object, a 3D printer will place material. 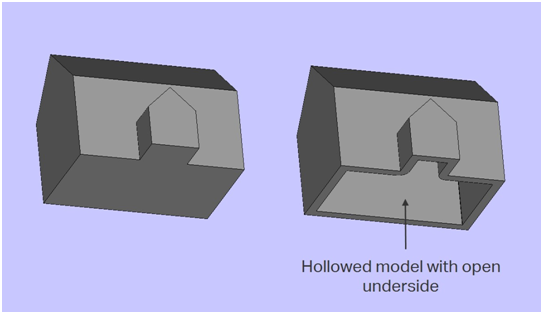 Occasionally, the inside or outside direction known as surface normals are displayed incorrectly and this can mean material is placed in the wrong locations. Most CAD programs have the ability to highlight normal directions and unify them which makes inside facing normals hidden from view. Any holes or unconnected edges can cause errors during the print process. If a drawn object contains holes or open, unconnected edges, the geometry will not be recognized as a solid entity. This may cause errors during the print process. To correct these, fill any holes or gaps to make the object watertight. Any duplicate/overlapping surfaces must be deleted. Identical surfaces that exist on top of each other can cause errors during the print process and must be deleted. Use dedicated selection tools to highlight hidden duplicates. Often a rendered view of the model will show the duplicate surface as a flickered texture. Thicken small details so that they do not break once printed. For unsupported fine details we recommend that they be thickened to ensure your model does not flex or break when the part is removed from the printer. The minimum thickness for details is typically 1.0mm but 0.7mm to 0.8mm can be achieved if they are well supported. Make sure all objects within your model are supported and not floating in empty space. Details that are not joined correctly will print as separate objects. To reduce waste and save on cost, large volumes of data can be hollowed. We provide this as a service so that an ideal wall thickness can be obtained without affecting part strength. Please contact us if you would like advice on shelling models. One way of producing large prints that exceed a 3D printer’s build envelope is to split the data into sections, 3D print them and join the sections together post printing. Most 3D CAD packages support a range of export formats that are compatible with 3D printing software. Choosing the right export format depends on the type of model you aim to have printed. The standard format for 3D Printing is .STL, however this format cannot hold colour information. In the case that your model has color and textures applied, it would be better to select an alternative format such as .VRML or .ZPR. .STL Widely used for rapid prototyping, this stereolithography format is best for creating meshed data without color information. .VRML Stands for Virtual Reality Modelling Language, this format support models with color and texture. .ZPR Designed by ZCorporation, this format where possible should be used for data containing color and texture. .3DM Inition accepts this native format from Rhino users. .SKP Inition accepts this native format from SketchUp from version 7 and under. .3DS Commonly used in 3D Studio Max for parts containing color and texture. .OBJ Widely accepted format that can carry color and texture information. .ZCP & .PLY Commonly describes parts produced by 3D Scanners that contain color, texture and geometry.